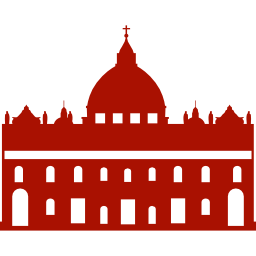 Saint Peter's Basilica - SKIP THE LINE - Book your tickets online. THE BASILICA OF SAINT PETER, THE CRADLE OF CHRISTIANITY (AUDIO GUIDE IN FRENCH)! The place where faith, history and art mingle in unison! You will be surprised by the centuries of history of this iconic place of belief. It was built where the first pilgrims came to worship St. Peter, under the will of Emperor Constantine, at the site of Nero’s circus. As part of UNESCO’s World Heritage List, St. Peter’s Basilica is considered the greatest architectural design of its time and remains one of the most visited monuments in the world. Its construction, on the site of the ancient basilica built under Emperor Constantine, begins on April 18, 1506 and ends in 1626. Its most important architects are Bramante, Michelangelo and Bernini. You will visit all the places of tourist interest, workshops, chapels and works of art contained inside, where the talent and imagination of great artists (Miguel Ángel, Bernini and Raphael, among others) expressed themselves by their human potential. In each monument, you will also learn about the living history of the men, popes, saints and artists who have dedicated their lives to the church and spreading the Christian message. A skip-the-line ticket offering direct access without waiting. An audioguide: This audioguide must be downloaded to your phone. You will receive the instructions in a separate e-mail with your tickets. English – Spanish – Portuguese – French – German – Russian – Polish – Japanese – Chinese. Every day from 9:00 to 15:00.